What a fun way to spend an afternoon! 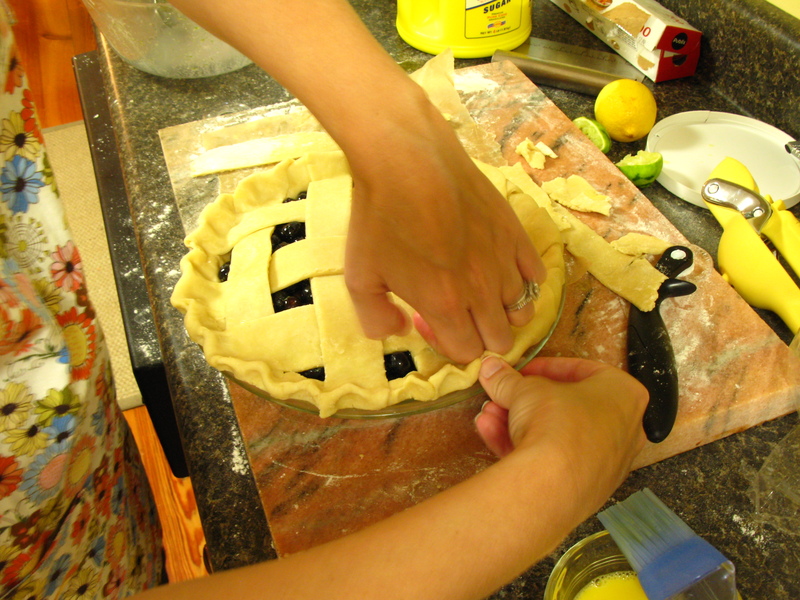 I’m so thankful to have a friend who gets as excited about the finer points of pie dough as I do. 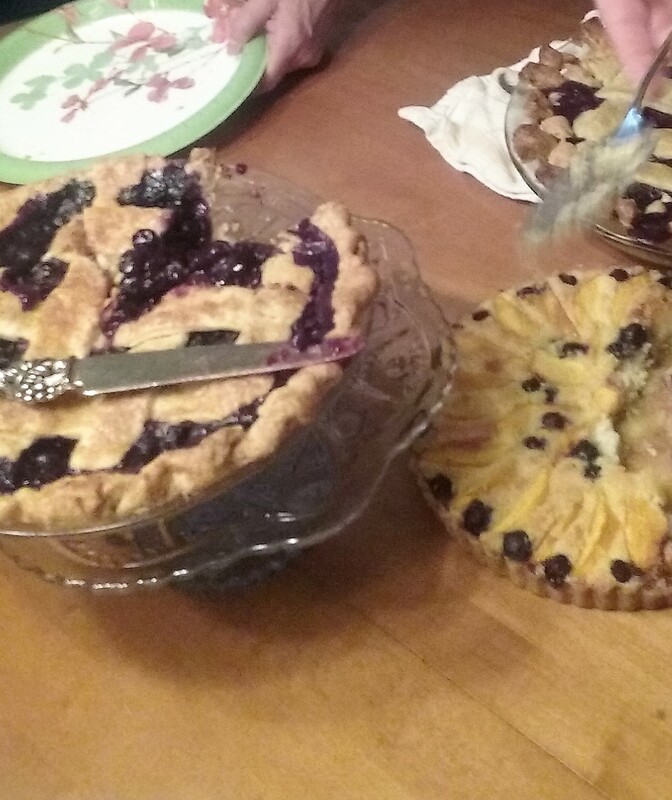 We baked three pies for a family party. 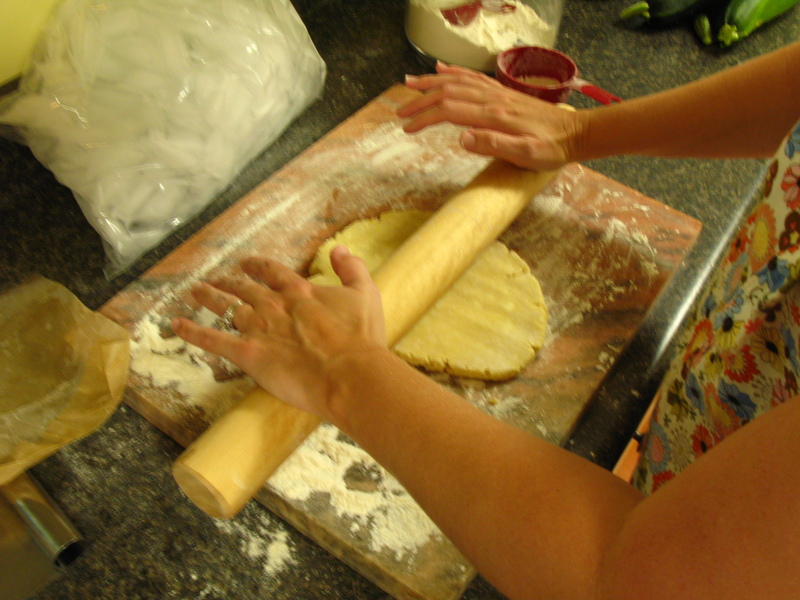 Each creation had a delicious and flaky home made crust. 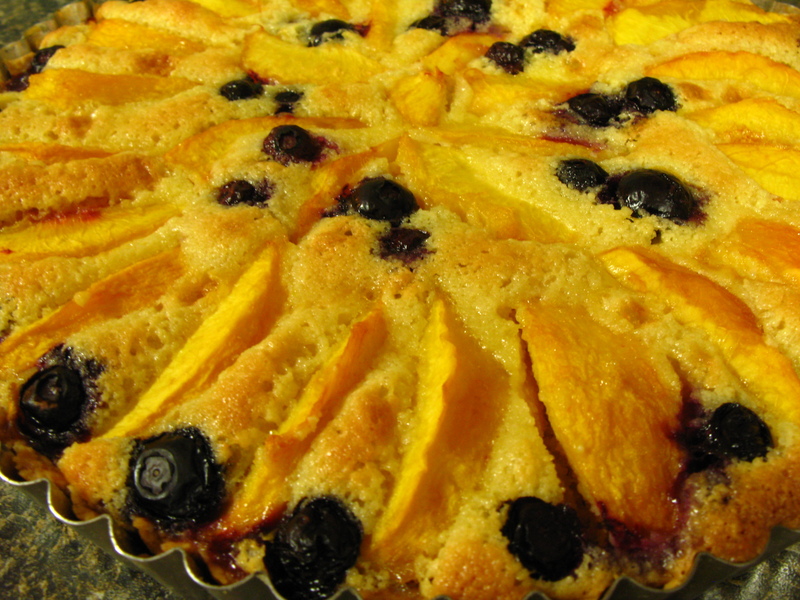 vCheck out our two traditional fruit pies with a lattice top and one scrumptious peach and almond cream tart. I made the dough a day in advance so it was ready and waiting in the fridge. We rolled all the dough on a chilled marble slab and felt very fancy, very professional. The marble came from Grandmama Clydie and kept our dough cold in a hot kitchen. The recipe for the peach tart came from David Lebovitz, and boy was it good! Click through for his post and recipe. I also used the crust recipe he suggested for this recipe, which can by found by more clicking through from his website. This pie was was the first to go at the party. It was attacked as soon as I released it onto the table. 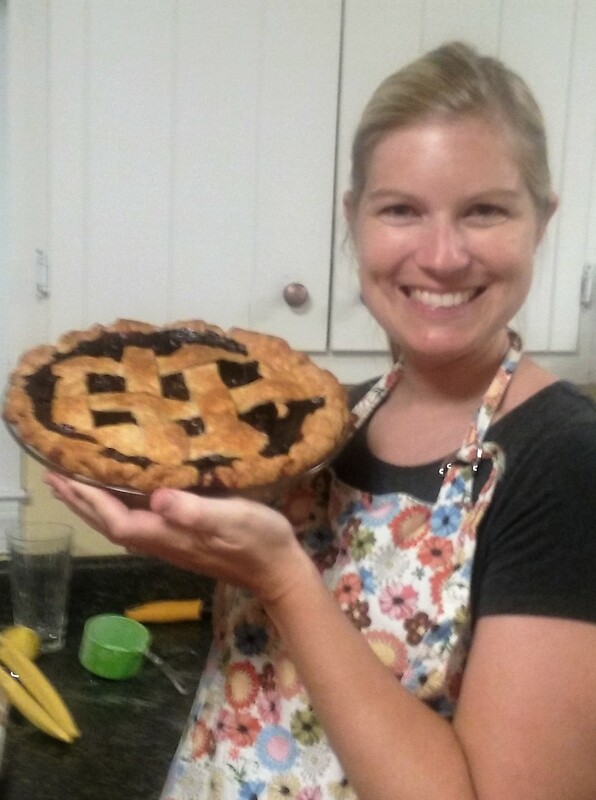 For the fruit filling, we used Nathalie Dupree’s book Mastering the Art of Southern Cooking. 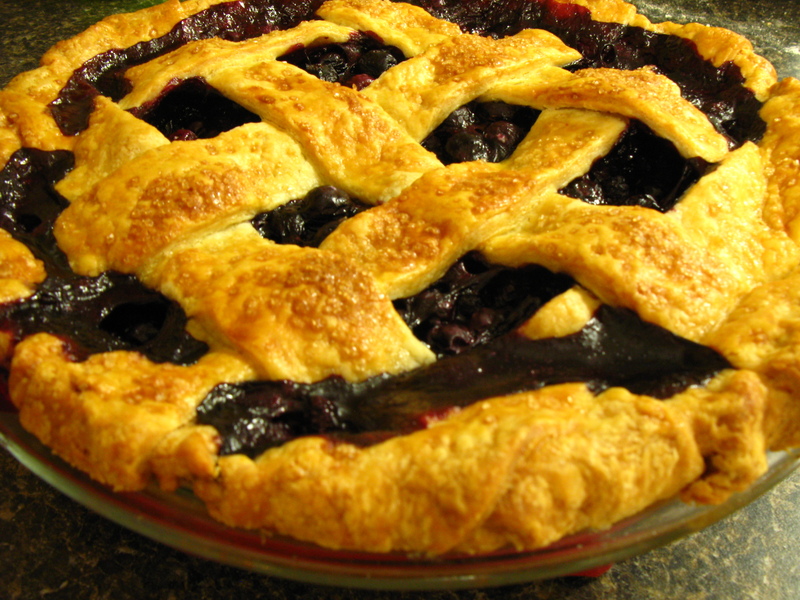 You will need about 4 cups of fruit, a little sugar and a little cornstarch. Yummo! This was the only picture I could snap of all three together. As you can see, I wasn’t fast enough! May I introduce our heifers from left to right: Star, Blackie, Cinderella, Muffy and Patches. This is my first experience with cows and I’m learning so much! They were really young when this photo was taken and it’s been fun to watch them grow. These girls are Pineywoods cows and they spend their days swishing their tails, grazing, and chewing. 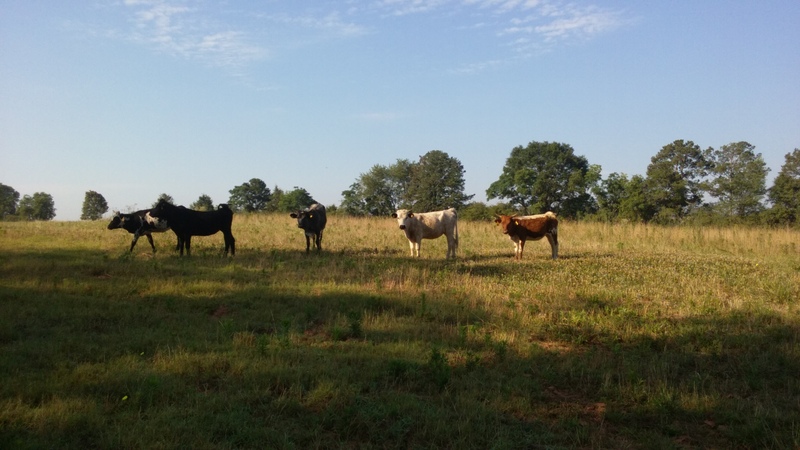 The Pineywoods is one of the oldest breeds of cattle in the United States, descending from Spanish cattle brought to the Americas beginning in the early 1500s. Pineywoods cattle are an endangered breed of “heritage” livestock that are descended from the original Spanish stock left along the Atlantic and Gulf coasts of Florida, Georgia, Mississippi and Alabama. They have evolved to be naturally resistant to most diseases and are able to forage on rough vegetation that commercial cattle will not touch. Pineywoods are also “dry land” cattle and have evolved to avoid predators by spending only a minimum of time at their water hole. This makes them very low impact cattle, as they do not contribute to bank erosion and fouling of streams like most domestic stock. We are excited to care for this endangered heritage breed. Like many other heritage animals, these cows are well suited to their environment and very low maintenance. My husband loves cows and often comments how these behave differently than mainstream breeds. They are very skittish, they have a distinct pecking order, and they gallop at full speed across the pasture for no apparent reason. We (actually, my husband…) plan to breed them so that we can produce healthy grass fed beef from happy cows. These girls are very happy, glossy and fat! We are certainly not vegetarians, but you may have noticed from my blog that I don’t eat a lot of meat. I believe that how and what we eat matters, and I want to feel good about the animals I consume. It’s exciting to work towards producing another awesome ingredient to cook with!